Rupert Murdoch's 21st Century Fox has withdrawn its bid to purchase US entertainment giant Time Warner for an estimated $80bn (£47bn). 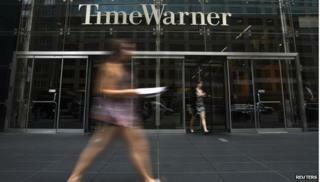 Time Warner rejected Fox's initial offer in July. The company wrote in a statement that Time Warner had "refused to engage with us to explore an offer which was highly compelling". It added that the reaction in the company's share price since the proposal was unveiled undervalued Fox. Fox's share price has declined by 11% since news of the takeover was revealed. Meanwhile shares in Time Warner plunged more than 11% in after-hours trading after the surprise news of the withdrawal was announced. "Time Warner's Board and management team are committed to enhancing long-term value and we look forward to continuing to deliver substantial and sustainable returns for all stockholders," said Time Warner in a statement. A merger between the two giants would have significantly altered the media industry in the US and created one of the world's largest media conglomerates. Time Warner owns several lucrative cable channels - including HBO, TNT, and TBS - whereas Fox is the owner of the dominant Fox News channel in the US. The acquisition offer was seen as a way for Fox to stay competitive as other big players in the industry, including Comcast and AT&T, also engage in mergers and take over offers. Some observers wondered if the withdrawal was just a ploy by Mr Murdoch to drive Time Warner's share price lower as part of his larger takeover strategy. "This could easily be part of their negotiating strategy," said Brett Harriss, an analyst with Gabelli & Co.
As part of the announcement, Fox also said it would authorise a $6bn share repurchase programme. That pleased investors, who sent shares in the firm up over 7% in trading after markets were closed. Both companies are set to report their second-quarter earnings on Wednesday.